The Martin Yale BCS210 Business Card Slitter saves time and money. Martin Yale BCS210 business card slitter easily converts 8 1/2" x 11" sheets to finished 2" x 3 1/2" business cards with a simple two pass operation. 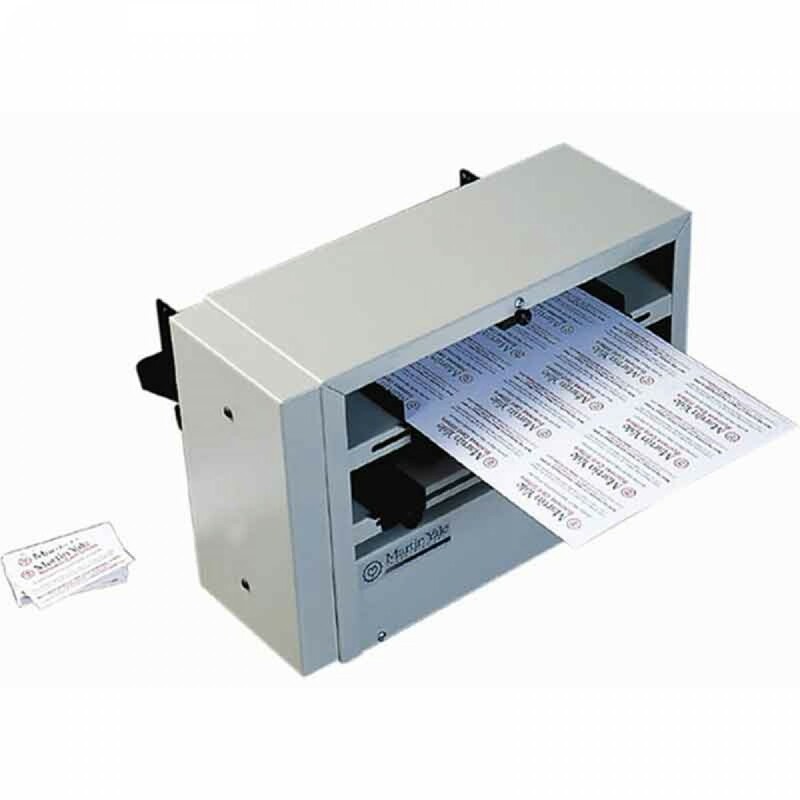 Premium features include perfect cuts for more accurate card cutting, catch tray for easy holding, receptacle and adjustable feed to accommodate different types of material thickness. This unit does not accommodate bleed printing.